We experiment with different fitness concepts so that you can learn how they impact us. The Paleo Diet prescribes eating only foods that our hunter-gatherer ancestors ate during the Palaeolithic Era. From this definition you might assume that the Paleo Diet allows the consumption of all fruits but unfortunately, that is not the case. While most fruits are approved as Paleo, it may be the definition of fruit that is most troublesome. Many Paleo authors have differing opinions on what fruits are Paleo. Here I will give you a very simple framework to use to make the determination yourself. Let’s start with what we know; fruits are plants. To better understand what a fruit is, we first need to acknowledge that there are ONLY two types of edible plants: Fruits and Vegetables. 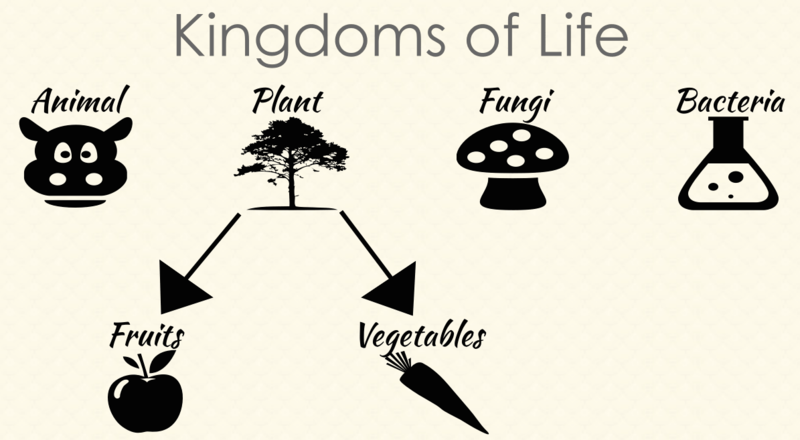 That means that all edible, earth grown matter (fungi excluded) falls into one of these two categories. Hope you're ready to change your perspective on fruit. So, what is a fruit? For the layman, this essentially means that a fruit is the part of a plant that blossoms. The plant will not extend its growth beyond this point but a new plant life can begin from the seeds contained within the fruit. This definition may coincide with the way most people think of fruit. It also does little to help us determine what a fruit is, or if it’s Paleo. If anything, it only complicates things further. To make this easier, let’s divide fruits into a few simple categories that are either approved for Paleo or banned from the Diet. For simplicity, a few categories were combined so that fruits could be grouped where they're typically associated. For a more detailed breakdown, check out this site. 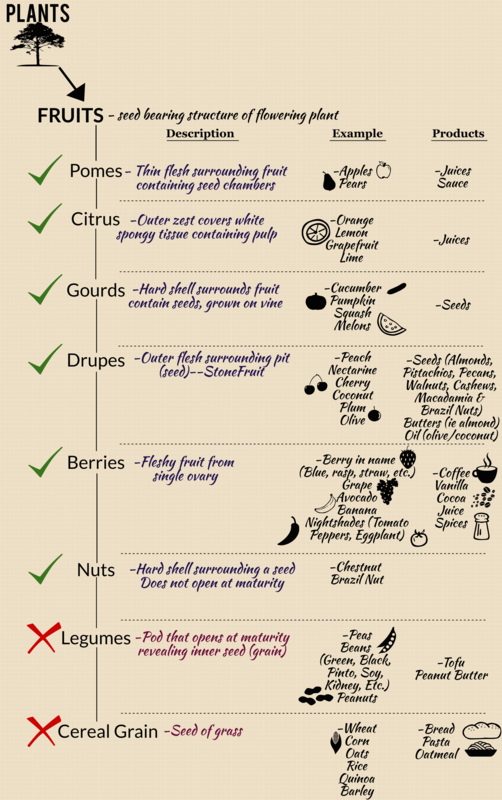 This chart demonstrates which common fruits can be consumed on a Paleo Diet based on the consensus of most Paleo advocates and the diets guiding tenet (eat like a caveman) . The descriptions should serve as a simple guideline for determining which of your favourite fruits are Paleo, and which are not. Any fruit that is part of an approved category (green check) is okay to consume when eating Paleo. 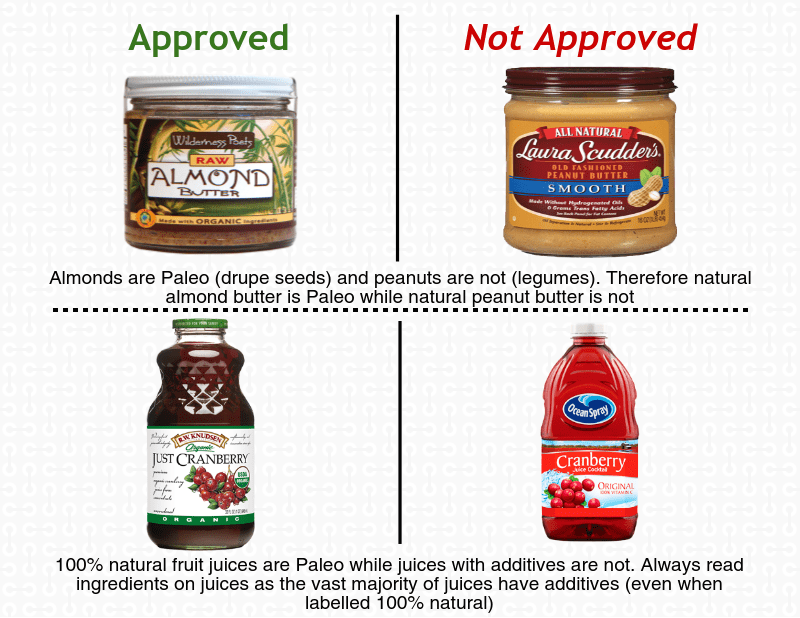 Fruits that are part of a rejected category (red X) are banned from the Paleo Diet. The product of any Paleo approved fruit that contains ONLY 100% natural ingredients can also be consumed on the Paleo Diet. Products of banned fruits cannot be consumed. If you want to learn more about whether specific fruits or any other foods are Paleo, check out Ultimate Paleo Guide. You'll find detailed articles outlining why a food is or is not considered Paleo. Now that we know what fruits are Paleo we can determine which vegetables are Paleo.